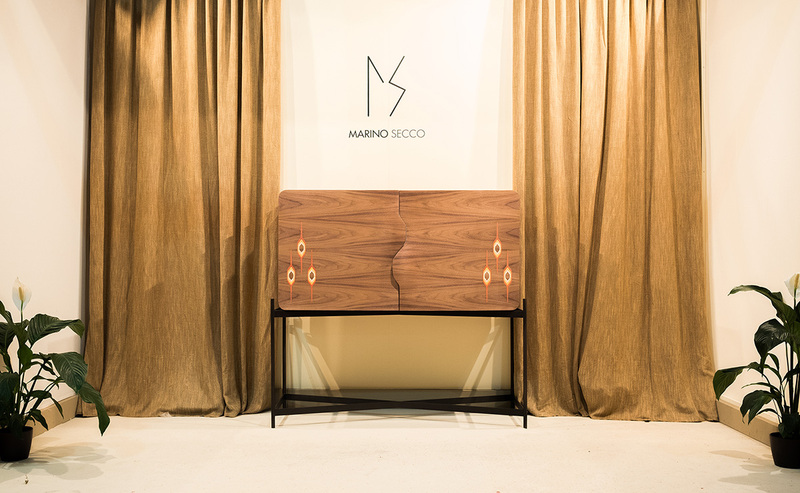 Marino Secco presents its first collection of furniture for living at the Salone Satellite, inspired by Sardinia, interweaving ancient traditions and design as weft and warp. The wood is conceived as a fabric on which the ancient art of embroidery expresses itself becoming the sole protagonist. The decoration, studied especially for the event, tries to get closer to the theme of the Satellite, Africa and Latin American Rising Design, proposing an ethnic element with bright colors inspired by African fabrics.